I woke up this morning wondering if an astronaut ever tried to light a fart in microgravity. If they could do it without setting off a fire alarm that would alert Houston and get them in trouble they've probably done it. Those Nomex flight suits.... But what if it turned out to make a really fascinating spherical ball of flame and a charming burst of soot, or nothing happened at all, which could happen because there's no convection to bring more oxygen to the party, and they wanted to share their findings? They'd need a big word for the title of the white paper. "What happens when astronauts on the space station light their farts?" simply isn't formal enough. It would have to be "Controlled Studies in Microgravity Conflatulagration" or "Flaring Flatus While Floating: Combustion Experiment Foiled by Lack of Convection"
I checked the etymology of conflagration and flatus. They are both Latin. Conflagration comes from con - (expressing intensive force) + flagrare - to blaze. And flatus comes from flare - to blow. 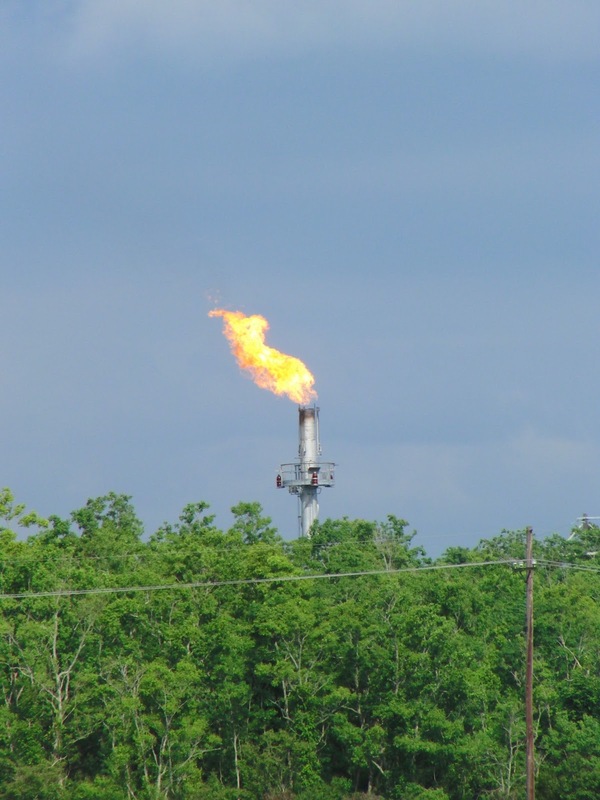 "Flaring your flatus" is therefore redundant, but it makes me think of those tall pipes flaring the gas off a landfill or oil derrick so I like it anyway. The thing about living on a planet with 7.3 billion other people is whenever you think of something new, chances are good somebody else already thought of it too. So I googled "conflatulagration." I found a single occurrence of the word conflatulagration on the Internet. It's in a comment after an economics article in The Guardian in 2011 answering another commenter who wanted to know why oil prices go up when anybody in Libya farts. This user has 305 comments on Guardian stories. Skimming over them I see farts are sort of his pet topic. He would get along with my step-sister. I think she would enjoy the term "fartisinal" quite a lot. I'm not really a fartficionado. I only know about flaring flatus from stories my father told us when we were little about what he got up to when he was in engineering school. And when I went to that same school my brother's friends confirmed it is a real thing that engineering students do. Lots of astronauts were engineering students once. So I consider the probability that somebody tried to light a fart in zero g is better than the odds of being one of the people on earth to make up a formal word for it. There's a TV show called Going Deep with David Rees where he spends about 25 minutes investigating the details of things people think they know all about, like how to tie your shoes. Of course I watch every episode. These are my people. David Rees was on The Daily Show last week. Trevor Noah clearly doesn't get it. "But if you are compelled to investigate the details of every trivial aspect of life, how do you LIVE?" I'm still trying to figure out what he means. How do YOU live, Trevor Noah? Ignorant of the fascinating details of the world? What kind of life is that? !